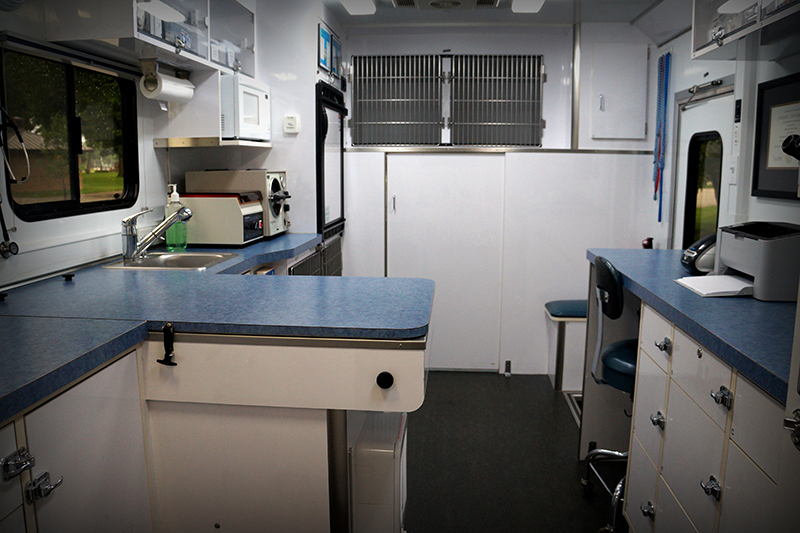 There are many benefits to having your pet cared for by Curbside Care Mobile Veterinary Clinic. Your pet will not have to be around unfamiliar animals that may frighten them and could expose them to sickness. Eliminate the car ride that often is very stressful and, in some cases, may cause an upset stomach. In addition to improving your pet’s vet experience, you will save time and gas money. We schedule more time for exams than most stationary clinics, therefore we can move more slowly with your pet, reducing their stress. Longer exam times allow us to take a more complete history from you (you know your pet best! ), and our doctor can perform a more thorough exam. Patient stress can alter basic vital signs such as pulse rate, respiratory rate, blood pressure, and temperature, limit the veterinarian’s exam, and even change laboratory test results. Relaxed pets benefit from better vet care.